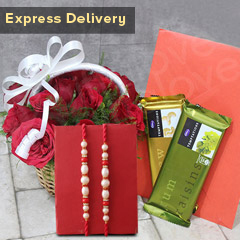 Hey….there is no more time to waste!! 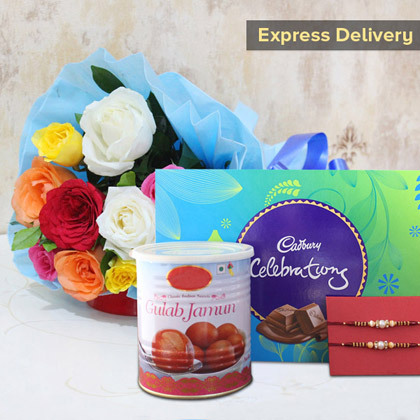 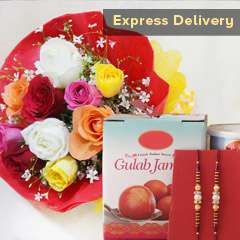 We have this complete pack of sweets, Roses, chocolates and two beautiful Rakhis and we will make sure that it gets delivered on required time. 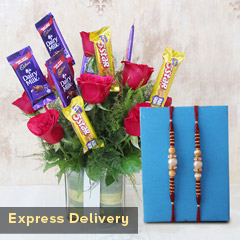 Make this Raksha Bandhan a special celebration for your brother by ordering this thoughtfully designed product.